The First Four as a bet is perhaps the ultimate wager on the TAB, and probably one of the most difficult to achieve. It has advantages over some other multiple bet types in that it involves only one race. So you only need to be correct in a single event. As most punters know, the big collect is one major thing to aim for. And the first four with regular $100,000 dividends is one way to get that huge payday. This article delves into some possible First Four betting strategies along with their various costings. The First Four requires the first four placegetters to be selected in the correct order. It is a supercharged trifecta and most of the time pays that way. There isn’t much else to describing the bet. Simply select the first four placegetters and sit back and collect a nice big dividend. If only life was that simple! Yes with a big dividend comes a very small chance of a collect but a big collect is possible, especially if you are a clever punter and certainly provides far better opportunities for the big collect compared with winning a major prize on any lotto game. A First Four can be taken on any event for horses, harness or greyhounds where there are 4 or more runners and other than the 1% rule applying to flexi betting (explained later), you are free to take any series of wagers. You can outlay a minimum or maximum amount in the search for that elusive First Four result and are limited only by your own initiative and ingenuity. Unlike the low paying Duet, the First Four offers huge returns – returns quite achievable from only minimal investments. Looking at some possible wagers, the simplest bet is a single First Four in a four horse field. One possible First Four combination could be 1/2/3/4. Take this bet for $1 and if those runners fill the placings you are a winner. However, only taking a single wager in larger fields is unusual. A better approach is to take a box First Four. For four horses when taking all combinations there are 4 x 3 x 2 x 1=24 combinations with the cost increasing roughly by double each time an extra runner is added (see the table. Most of the tables in this article show flexi betting for a $20 wager. If you want to bet for $40 simply double the amounts and so on). The box First Four can be taken in a single wager which simplifies the whole process and is one of the best approaches when taking a fixed number of runners. The beauty of recent changes on the TAB is now any multiple wager can be flexi bet. Effectively any multiple bet can be taken for a fixed amount (the First Four has always allowed flexi betting). So a box First Four on 4 horses costs $24 for a $1 stake. The bet can be taken alternatively for lesser (or larger) amounts. Instead of taking the bet for $24, the bet could be taken for $10. If successful the dividend will pay a lesser amount according to the amount bet and the possible combinations. So if the full $1 dividend pays $2,400 then the $10 flexi bet will return $1,000. The bet percentage of the normal $1 dividend is shown when the bet is taken. If successful, multiply the dividend by the percent to get the amount returned. The TAB requires a minimum of 1% of the total $1 wager to be placed on any flexi bet. So for the $24 bet (4 horse box First Four), a stake of at least 1% of that total is required, that is 24 cents. You can’t bet 24 cents in one wager but this example illustrates the 1% rule. To box 4 horses in a First Four there are 24 choices or combinations. If successful, Flexi betting the wager for $20 will give you 83% of the full dividend. Boxing 5 horses gives 120 combinations which is 5 times as many bets as for a 4 horse box wager and so on down the table. A $20 wager on that flexi bet will give you potentially 17% of the full dividend with the numbers changing all the way up to 24 runners. A 24 horse box First Four has over a quarter of a million choices and the $20 flexi bet will give you a mere 0.008% of the collect. The 1% rule means that for any of the box First Fours with more than 8 runners a larger amount than $20 needs to be bet. So for a 9 runner box First Four a $40 bet would give you 1.32% of the $1 stake which fulfills the minimum 1% rule. Just to give you some idea of the returns for the 9 horse box (the bet is $40 for a 1.32% return). If the $1 full dividend First Four pays a skinny $400 then the return for $40 would be $5.28 which might be rounded up to $5.30. In fact the minimum dividend needed to make a profit is the number of combinations in dollars, which in this case is 3024. This is the so called break-even point. So the 9 horse box First Four has to pay more than $3,024 for you to make a profit. If it pays $100,000 then the collect is $1,320. Nice result but first you have to take the correct 9 horses (to get the first four runners) and second have it pay $100,000. There might be one huge First Four every week but in the same week there are many, many races. Simple random large box combination First Four betting will eventually send you broke with this approach being little more than playing the pokies and hoping for a jackpot. There are many strategies for a successful First Four wager and probably as many approaches as there are days in a year. The box First Four wager has already been discussed and refer to the table for the various costs and break even points. This is one of the best options for the form punter who has a solid understanding of a particular event consisting of a number of chances. Starting from the simplest bet, take one horse to win, one for second, one for third and another for forth. This is the ultimate First Four and requires a high level of skill or luck to get a collect. This bet is best taken in small fields or in races with a high level of certainty. Some races have only 4 or 5 runners with options for some single First Four wagers. Small fields often lead to muddling pace which often leads to unusual results but a single First Four could be the go in a small field. Chances of getting a single correct First Four in a 24 horse field is getting up to Lotto type chances. Lotto pays consolation dividends and may be a better bet than a single First Four in a capacity field. A standout wager requires one runner to fill a particular placing and the other selections to fill the other 3 placings. So taking four runners with one of those runners as a standout to win gives 6 possible bets and for a $20 flexi bet the return would be over 300% of the final dividend. A very thin $6 dividend is the break-even point on this bet. Again in a four runner field, this is a possible option if you are confident of selecting the winner. Instead of picking a winner you can select one runner to fill one of the three other placings, (e.g. second) and cover the remaining slots (e.g. first, third and forth) with the other runners – the bet has the same cost. 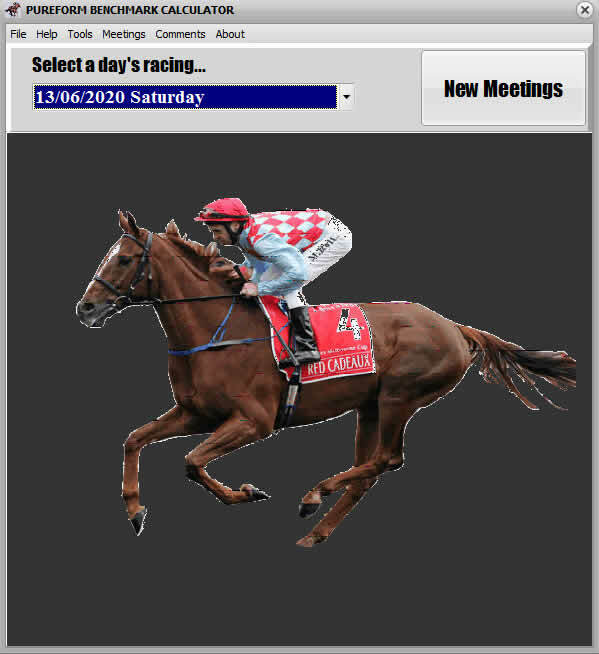 The TAB as one of its main bet options allows a Standout wager which is selecting one horse to win and others to fill second, third and forth. To take one horse for a differerent placing (other than winning) you need to construct the bet manually. Another option is the multiple First Four, that is select a number of runners to finish in the various placings. So you might take two runners to win, 5 runners for second, six others for third and eight for forth. There is a never ending list of possible options for selecting First Fours by this approach. One popular approach considered here is taking 2 runners to win and 5 others (which includes the two for first) for the other placings. This has a cost of $48 for a $1 stake and for the $20 flexi bet returns 42% of the final dividend. Clearly two runners can be taken for the win and a greater number of competitors marked for the placings. Instead of taking 5 chances, a better option may be to take 9 or 10. The various costs are covered in the table. Again for this bet type a larger stake is needed when taking more than 12 total runners (the 1% rule). The Roving Banker wager is another bet type available from the TAB on a single ticket. It allows one or more runners to be taken along with a series of other runners. To be successful, the one or more runners (the banker or bankers) have to finish in the first four placings with two or three of the other non-banker horses filling the other placings. In all of these examples, the five runners selected filled the first four placings but for the roving banker to be successful the two bankers, 1 and 2 must fill 2 of the first four placings. Often it is more effective to box five runners than to compromise with the roving banker. Costs for each bet are in the relevant tables. First the one banker First Four is considered. The first possible roving banker is to take one horse to fill one of the four places with at least four others, three of which will fill the other three places (taking a roving banker with 3 other runners is effectively a 4 runner box First Four). This bet type is useful when there is one clear standout chance but no certainty by your calculations that the runner will win. Using the table to take one banker coupled with 5 other non-bankers produces 240 total wagers with the $20 flexi bet giving 8% of the final dividend. Not a bad bet to take if there is confidence in the banker performing well. Another possible roving banker scenario is to take two bankers coupled with other non-banker runners. In this case the minimum number of non-bankers is again 3 and the example wager to take two bankers with three non-bankers has 72 combinations and for a $20 bet provides 28% of the final dividend. A two horse roving banker is useful when two runners appear to have some sort of ‘mortgage’ on the race without necessarily being certain of winning. The earlier example illustrates winning/losing two banker combinations. One banker winning / losing scenarios are fairly clear – the banker has to finish at worst in forth position. The last option considered in this article is the three horse trifecta approach. In many races you may be confident of getting the trifecta in three horses. Why not take a First Four and include the field for forth. That elusive forth placing is the killer of many a fine First Four when the bolter given the cushy run gets the dream run along the fence and figures in a photo for 4th nutting your other 3 chances mere inches away. This bet type is close to being a 3 runner roving banker but not quite. For a 10 horse field, you will receive 48% of the dividend by taking a $20 flexi bet with three horses for the first three placings and the field for forth. Things to consider are the prices of the first three horses and then the chances of a long shot running forth. Indeed, the same $20 will give you over 300% of the trifecta dividend which may be a better. A further compromise could be to place $10 on the box trifecta and $10 on the First Four combination. Additionally more runners can be taken in the trifecta part with the field filling the forth position. There you have it. Some interesting approaches to the First Four. Good luck with your First Four wagers.